Over the past few years, some of the best deals I've found have been from Stockholm, Helsinki, Copenhagen, Amsterdam, Berlin and Sofia. They’re usually the result of an airline trying to fill seats on an under-utilised route or trying to establish themselves on a route dominated by another airline. You’ll obviously need to get to that city, but that’s what I often use my Avios for. This also comes with the added benefit of spending a day or two exploring a new city or enjoying an old favourite along the way. Be careful booking these flights too close to your departing business class flight because if the flights are not booked on the same ticket and there's a delay with your original flight and you miss your business class flight, the airline won’t put you on the next one and you’ll be stuck. The best deal I ever got was for a flash sale on a business class return flight on Qatar Airways from Amsterdam to Tokyo for £500 ($700). To get the best deals, you’ll need to be flexible as to where you travel from, when you travel and how long you go for. And you need to act fast. Often these deals are for a very limited period of time, and even when they're not, the best ones get snapped up so quickly, that a few minutes can make all the difference. There is an annual fee of around £200 for this card, but in my view, the benefits are well worth it. You get a slightly higher welcome bonus of Avios if you are referred by a current cardholder. Business Class flights are unfortunately quite expensive. With the right sponsors at the right time, you can find a solution, but you need some luck. Not mentioned is that points/miles accrual and redemption arr Increasingly revenue based such that the amount paid for the ticket is often more important then the distance flown when accruing points, and the number of miles required to purchase a ticket can vary If the airline prices them according to Seats available..Historically, and for many of the legacy Airlines currently, they only offer a very limited number of seats for miles redemption. The lack of seats bookable with miles makes it for most impossible to get a business class seat using miles,making the whole program not valuable. 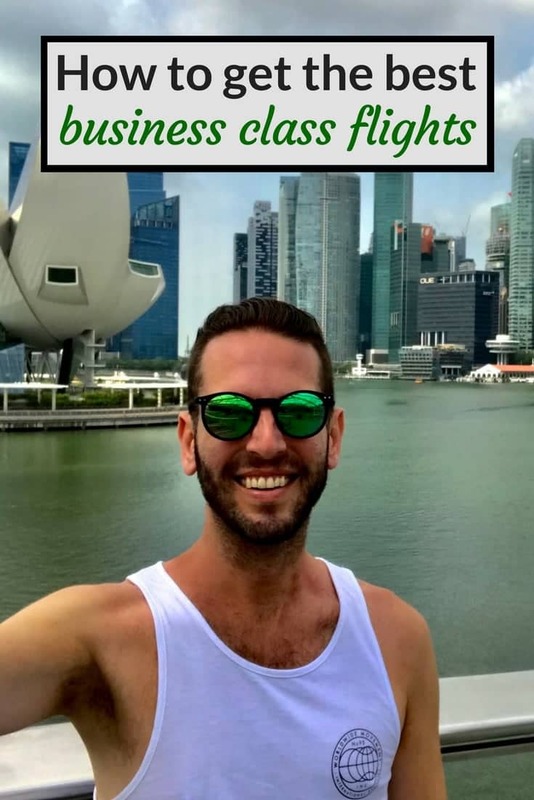 Unless you are extremely flexible in your ability to travel, or you have platinum elite status, you may find it quite frustrating when you go to cash in on all of those hard earned miles. Smaller/younger airlines like Jet Blue allow you to obtain any seat available, but as the plane becomes occupied as you get closer to your day of departure, the number of miles to obtain that seat will increase dramatically. Bottom line, you got to spend money to get a “free seat.“ But I do agree that business class is the only way to go for a long haul flight. Amazing content, l always enjoy reading you guys’ adventures, keep it coming.